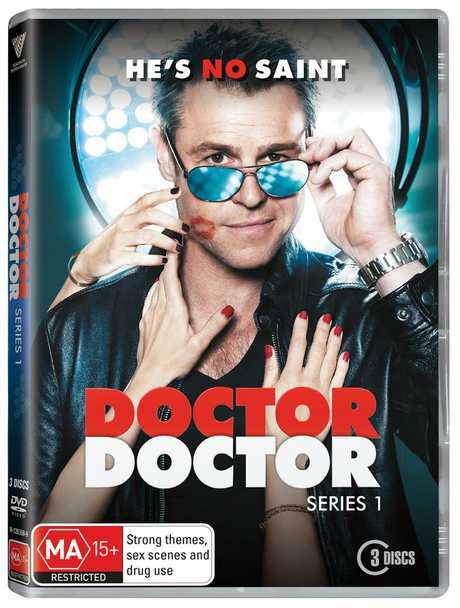 RODGER Corser has been stopped in the street over the series Doctor Doctor more than any other television series he has been involved in. "It's becoming part of people's lives," Corser said of the show. "We've resonated with people outside the five capital cities. There's a universal appeal. I've been part of shows that haven't had as broad an appeal, they're more niche shows, so it's great to be part of a show that has such appeal." Doctor Doctor follows the story of fast-living city surgeon Hugh Knight, who falls from grace after a particularly big night on the tiles. His part in the debacle results in him being hauled before the Medical Board. They place him on the Impaired Registrants List, which means he is banned from major surgery and can only work as a GP, and he will be subjected to weekly drug tests. Hugh is ordered to help out in Whyhope, the town where he grew up, where he must face old relationships with family and friends that he left behind long ago. Corser, 43, said the cast became close as they spent a lot of time away from home, filming in the country town of Mudgee and other locations, which led to a closeness between cast members that is reflected on screen. "We got on really well. Because we're away from our families we hung out a lot and forged tight kinds of bonds," Corser said. The actor, who has also appeared in Nine's hit Underbelly, the ABC series Glitch and Ten's Puberty Blues, said he enjoyed the diversity in the roles that had come his way over the years. In Puberty Blues, in particular, he relished the challenge of portraying a darker, more evil character. "I'm very appreciative of having the work - I've had a lot of luck getting roles. Every new one that comes along you thank your lucky stars," Corser said. He said the Doctor Doctor producers, Ian Collie, Claudia Karvan (of The Secret Life of Us and Love My Way fame) and Tony McNamara, each brought something vital and different to the table. As Doctor Doctor filming has finished for the year, Corser is busy continuing his voiceover work, and is planning projects early next year. Nine has confirmed there will be a second series of Doctor Doctor. Series one of Doctor Doctor is available now on DVD.